In our previous articles we share lots of tips on Google search and Gmail, today we are here again to share one more awesome addon, which helps you to completely change the look of your Gmail inbox account. Gmelius is a free browser extension for Chrome, Firefox and Opera. With the help of this addon you can make lots of changes on your Gmail account easily. The main motive of the addon is to give you a neat, cleaner, smooth and better-looking Gmail inbox. All you have to do is install the addon on your browser and after that you have to select the feature of the addon which you want to enable on your Gmail inbox and you are done. This includes the ads, people widget, chats, etc. Once of the best way to tweak you gmail account as per your need. Lets take a look how the addon works on the Gmail account. 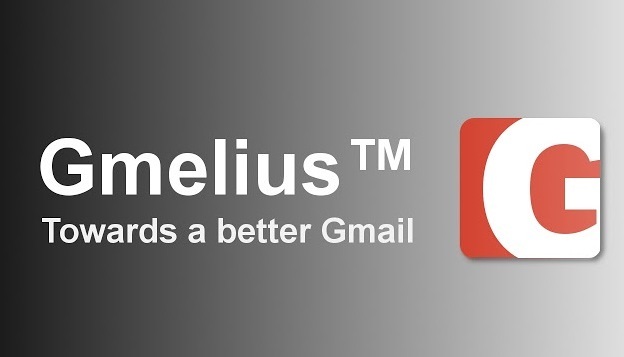 Download and install the Gmelius addon on your Chrome, Firefox and Opera, you can find the download link at the end of this guide. Once the addon is installed on your browser and new page will open on your browser web page with all the features. The feature are divided in three different sections like Regain some space in Gmail, Gmail Header and Gmail Inbox. In Regain some space in Gmail section you will some option like Remove ads, Remove people widget from Email, customize chat box and lots more. Select the feature which you want to try on your gmail and hit the save button and enjoy the new changes on your email account. Some other feature of the addon are add attachment icons and change their placement from left to right, move labels from the left side to the right, Colourize navigation icons such as “Archive”, “Spam”, “Delete”, etc, Restore Gmail Old Compose, make icons black and white and lots more. In future if you wan tot disable all the change on your account, all you have to uninstall the addon on your browser and you can get the old default look on your Gmail inbox. For more tips and trick about Gmail, Check out our Gmail section here. Thanks for sharing very Useful extension Gmelius !! !